She was born to a young single mother who later remarried. She took Margret with her but her new family never accepted the young girl. She grew up facing rejection and feeling unwanted. This highly affected her academic performance and she lagged behind in class. After several years, her stepfather passed leaving her under the mercy of well-wishers. Margaret was sent off to work as a house help in the city to both earn herself a life and remove the shame from the new family of being a step child whose only connection to the family had died. She discontinued schooling until a relative sought help for her and had her placed at Sons Of Manase to continue with her primary education and to find a home. She is a very hardworking girl and helps a lot at home with chores mostly related to cleaning. She easily organizes the smaller children to undertake their duties as she is already familiar with such responsibilities. She also helps the home cook with preparing meals for the other children, and she passionately does that out of her own will. 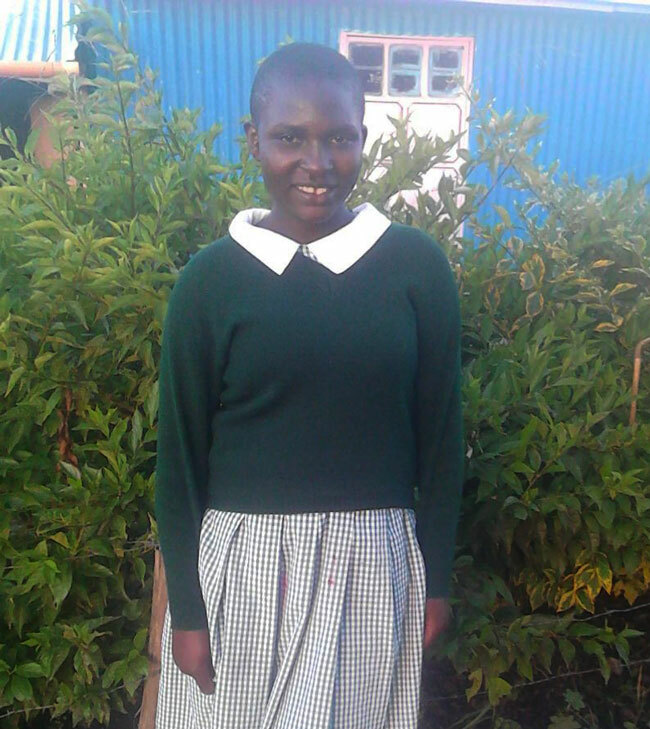 Her academic performance has started taking shape and this year she has been allowed to join the 8th grade and to sit for her National examination to qualify her for Secondary School. She had been denied this chance two times in the past and is hopeful, this will be the year where she’ll be able to move forward. Margaret is very energetic and enjoys playing volley ball. She is determined, hard working and truly has a heart of gold. She needs a lot of moral support to help her cope with her childhood problems as she progresses through her educational journey. She needs financial help to join secondary school so that she has the opportunity to have a high school diploma and go to a technical/vocational school to find a career she can make a living for herself.